Worked as Valuer since 1993 after 6 months training as student valuer with the Valuer Generalâ€™s Office (Perth) and registered as a qualified professional valuer since 1999. Joined the Groupâ€™s since 1999 and currently mainly in charge of valuation of all type of properties, auctions, real estate agency, property consultancy and management. 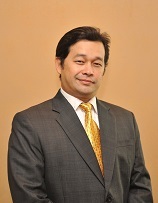 He is the Executive Director of the Groupâ€™s Sabah offices. 2019 JS Valuers Group. All rights reserved.